First, let’s get something straight – I’m not a travel or vacation writer, but our family of four - husband, two kids and me - are outdoor people, both occupations and avocations. The staff of Outdoor Utah asked me to write this for three reasons: #1. 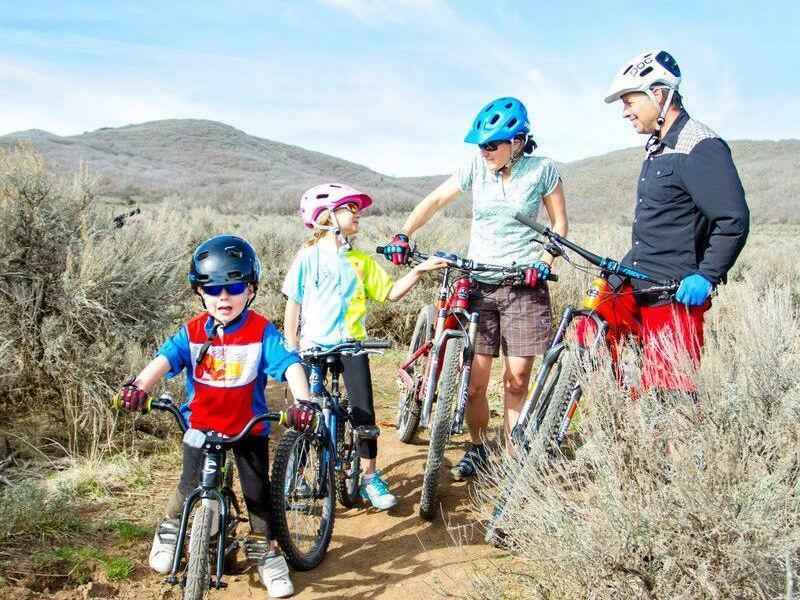 We’re not originally from Utah but relocated here because of myriad recreation opportunities, #2, we are active outdoor adventure enthusiasts, see #1 and #3, we chose to live and raise our kids in the laidback but vibrant town of Midway, in beautiful Heber Valley. My husband and I were both born and raised in New England. However the wide-open spaces, the western mountains and the ski town lifestyle drew us to Park City over 20 years ago and we have never looked back. We met each other thanks to friends of friends, a common bond in the outdoor recreation and cycling industry, and our passion to live, explore and play in the mountains. Before we knew it, we were getting married, buying a home and starting a family with our eyes and hearts instantly locked in on Heber Valley. This quaint, Swiss settled valley is surrounded by mountains and has some of the most breath-taking views in the Utah, a state that has more than its share. You would be hard pressed to find someone driving through this valley for the first time that did not stop to take pictures of Mt. Timpanogos – seriously. So here we settled. And I am grateful and honored to say that Midway, Utah is our home, our playground and where we chose to start and raise our family. TRAILS GALORE: We love the 20+ mile Dutch Hollow Trail System! 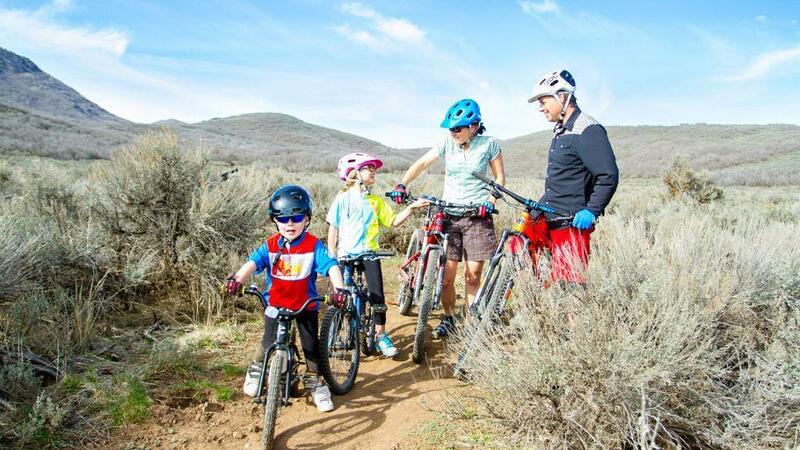 Thanks to Wasatch Trails Alliance we have over 100 miles of non-motorized multi-use trails to play on. 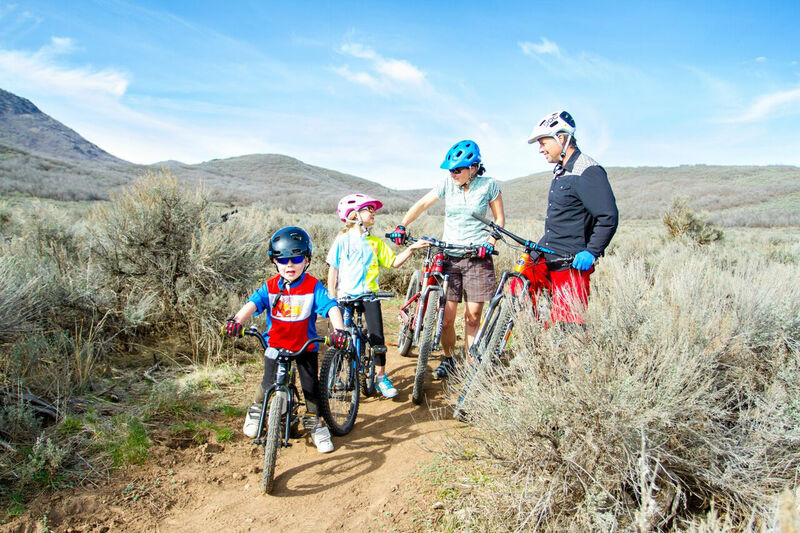 There are beginner trails down low by the trailhead that my kids can ride their bikes on, and there are trails that seem to go on for miles and miles up on the mountains that we frequently explore. Bikers, hikers, and equestrians actively use these dog friendly trails. We also love riding the new Riverview Trail over on the eastern benches of the valley with 30+ miles of singletrack and more to come! WATER PLAY: The Heber Valley is sandwiched between two reservoirs, Deer Creek to the Southwest and Jordanelle to the Northeast, and our valley has the gorgeous and world renowned Provo River running through it. Fly fisher’s come here from all over the world to fish the Provo, and families relish floating down the river on inner tubes. So despite living in a high desert mountains environment we have our fair share of water to play in and recreate on! Personally, our family prefers to go out on the Jordanelle for an evening SUP with dinner on the beach while the kids play until yet another beautiful Utah sunset. ADRENELINE FIX: Both my husband and I work in the outdoor recreation and cycling industry. Our business name is Gravity Sales and we’re into human powered gravity and action sports big time! If you too have an adventurous spirit, stop in and saying hi to our good friend Drew, owner/operator of Midway Adventure Company. Here, you can book a multitude of outdoor mountain adventures - from hot air balloon rides, horseback riding, river rafting, to hiking & biking. The Max Adventure Zipline Park is Utah’s newest tree-top canopy tour nestled in the Wasatch Mountains and adjacent to the Provo River. Timpanogos Cave National Monument is a family favorite too. It is a strenuous 1½ mile paved mountain trail where you gain over 1,000 vertical feet culminating at the entrance of three naturally decorated limestone caves! The Homestead Geo-Thermal Crater is one of the most unique and memorable activities here in midway. SIGHTSEEING: One of our family’s absolute favorite day trips is a beautiful 10-15 minute drive east into the mountains to visit Cascade Springs. There is a short and peaceful ½ mile nature trail that wraps around the natural springs and waterfalls. Our kids love looking for fish in the springs and reading the nature signs all through out the board walk. From there, we always return via the Alpine Loop Scenic Backway - a spectacular drive with breathtaking views and plenty of wildlife. 15-20 minutes down Provo Canyon is Sundance Mountain Resort where you will find more epic dining, hiking, mountain biking and wonderful mountain vistas. We look forward to riding the chairlift with the kids, taking in the views along the way. At the top we are always on the lookout to see what wildlife we can spot from above. One of our favorite restaurants is Foundry Grill with an incredible menu and a mountain atmosphere that is unmatched (more on our favorite EATS follows). Bridal Veil Falls down canyon is also a must see! This gorgeous natural waterfall will take your breath away. MUSIC & MARKETS: Every Thursday night, all summer long we look forward to hitting up our local farmer’s market in Heber City and listen to live music with our friends. We’ll ride our bikes, toss down a blanket on the grass, spread out a picnic while the kids run around and play. Every Saturday night the Homestead Resort in Midway hosts their own summer concert series as well. If you like live music as we do, you will enjoy this essence of our valley. GOOD EATS: We are foodies at heart and we love yummy, clean and healthy food! Our absolute favorite place to eat in town is Tarahumara Comida Mexicana on Main Street in Midway. If you are in the area this is a triple must not miss! So plan on stopping in and meeting our friends Greg and Gloria and their son David. You will be greeted with smiles and some of the best Mexican food in the state. Oh, and the salsa bar is also an absolute must. A few of our other favorites, also in Midway, are Filler Up Coffee Station for coffee, tea and gelato, Café Galleria for wood fired oven baked bagels and pizza. Tarahumara has our resident and super friendly clown Soda-Pop face painting and making balloon animals for free every Tuesday night. Café Galleria hosts local musicians outside on their patio several nights a week all summer long. SIMPLE PLEASURES: Some of our favorite memories here in Heber Valley are actually some of the simplest experiences. 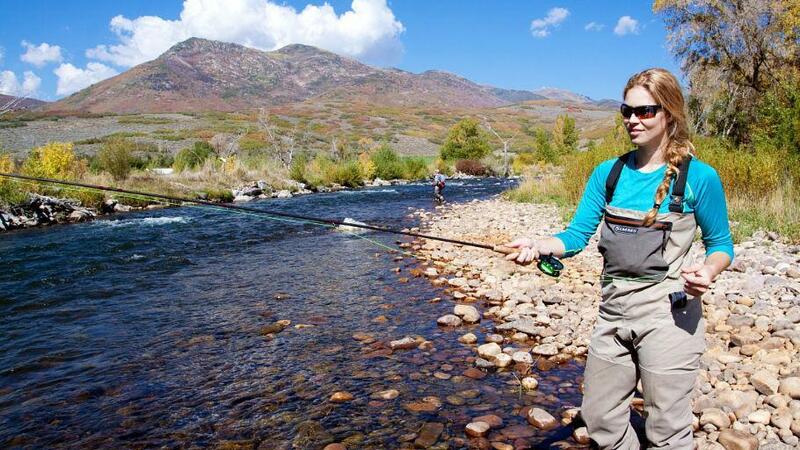 Like visiting Wasatch State Park to feed the ducks, play at the playground and even go fishing. 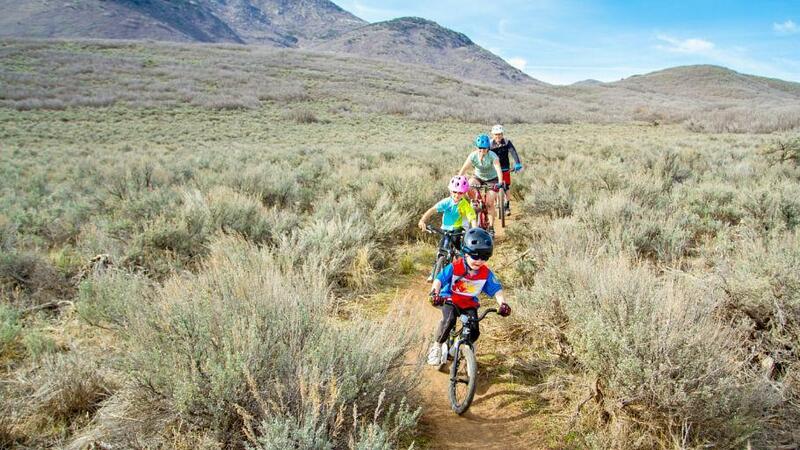 There is a paved path leading all the way from Midway to Heber that the kids love to ride their bikes and scooters on, even though it’s a busy path with strollers, runners, dog walkers and cyclists. Keep an eye out for the covered bridge and take a few minutes to wander off the paved path down under to dip your toes in the beautiful Provo River.